One of the most valued services I provide my clients is my ability to help them choose and order their photography. It’s one thing to create the photography, but then what do you do with it is the next big question. You spend a great deal of time preparing for photography session by booking hair appointments, finding and buying clothes, shoes, accessories and/or personal props. Not to mention the time you put in to plan your photo shoot and create the actual photos, for some people it can be overwhelming. I like to give my clients variety of poses to choose from and rarely do I shoot less than 100 photos in a custom session. Some of them are multiples of the same pose but the expression changes from a soft glance to a heartfelt smile. 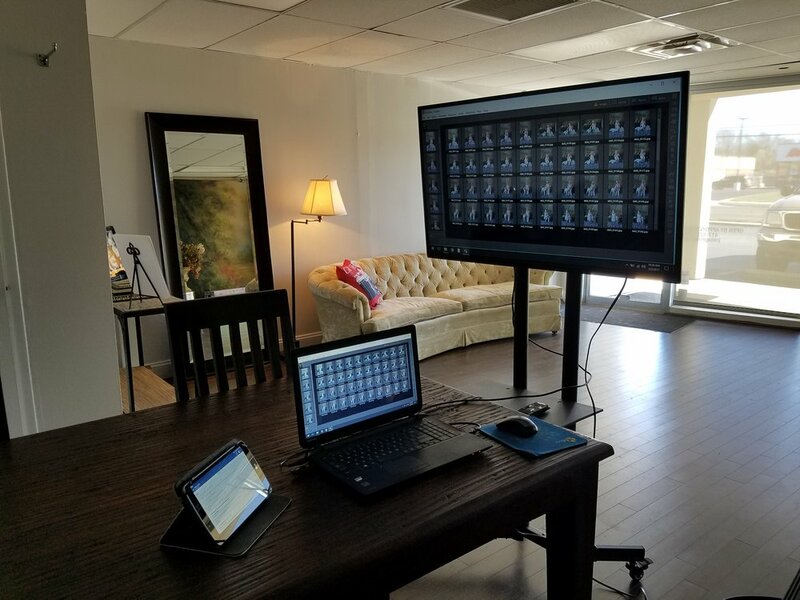 Pulling all of the photos up on my large screen and going through them one by one with my client is extremely helpful, especially when they want to see a few photos side by side to pick the better expression. Once we narrow down to the best poses, they can choose only the poses they want to buy. One of my clients shared with me that she keeps coming back to me because she loves my photography and ordering system. First, she gets to see all of the photos. Even though another photo might have a better smile, sometimes she likes the pose showing her child’s personality. She also loves my input because I know which ones make better wall portraits, or how something might look better in black and white. I can also provide her with ideas and options that she doesn’t think of because she isn’t good at that sort of thing nor is she familiar with the options out there. I love doing it this because it helps me to learn and grow as a photographer. Send me a photo of the wall you wish to hang a photo on, and I can show you what it will look like including ideal size. Viewing the photos at my studio.